Take part in this new contest organized by Food Network. 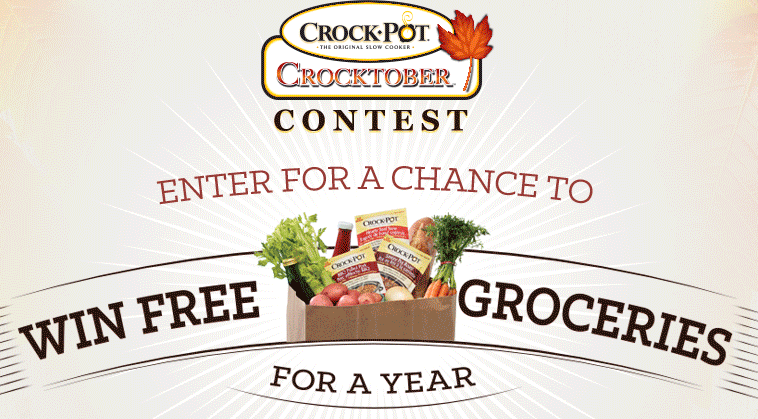 The Crocktober contest sponsored by Crock-Pot gives you the opportunity to win a supply of grocery for the entire year ($7,000 value). Participate in the Crocktober contest before January 15, 2015, at FoodNetwork.com/CrockPot. The Grand Prize consists of a $7,000 check that is supposed to cover your grocery needs for 12 months. A nice prize to have in addition to your regular budget! The total value of each weekly prize is $140. Participate today!